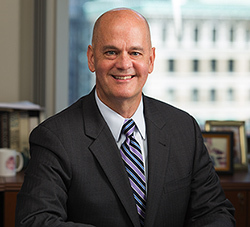 HRW’s Scott Roberts spoke at the Boston Bar Association’s program “Title IX from the Trenches,” which presented panelists and perspectives from the civil, criminal and government arenas. Scott discussed how to navigate the complex terrain of a sexual assault investigation and the increase of civil ligation against colleges and universities. To learn more about the Boston Bar Association or to see upcoming programs, click here.